From the introduction: In the late 1930s the British government finally recognised that it would not be able to avoid war with Germany and belatedly set about updating its defence capability which had become seriously depleted and outdated during the years of economic depression and disarmament. A number of projects were set in train to try to bring the equipment of the armed forces up to what was needed to match the'opposition. In 1938 the Coventry based Rootes Group began development of the Humber Ironside (Light Reconnaisance Car (LRC) Mk I) based on the 4 x 2 chassis of Humber's Super Snipe. This was later superseded by the LRC Mk II which featured an enclosed roof and turret mounted Bren gun. When the threat of invasion was at its height a batch of ten of these LRCs was modified by Thrupp and Maberley with luxurious interiors to transport members of the royal family. Apart from these being claustrophobic, the royal family were aware of the need to maintain visibility and these luxury armoured cars soon fell out of use. In a war context, the off-road mobility of the rear-wheel drive was still far from adequate so, with the help of the US firm Willys-Overland who later used a similar front end design in the Jeep Rootes designed and produced an 8 cwt 4 x 4 chassis. However, it was not until 1941 that the 4-wheel drive vehicles entered production anmd became available for combat. This truly off-road capable chassis was initially developed for the the LRC Mk III/IliA "Ironsides". Although 4-wheel drive had become a common feature in the USA, this chassis was the first example of a British 4-wheel drive design: a transfer box fitted behind the 4-speed gearbox enabled the drive to be directed to all four road wheels or just to the rear pair. Four-wheel drive further lowered the ratio of road speed to engine speed and together with a high road clearance meant that first gear permitted it to climb hills as steep as 1 in 2 1/2 or minor obstacles. The purpose was to provide a degree of off-road capability but without the complexity or costs of a fully or half tracked chassis. On the back of this and using the same chassis a range of support vehicles which would be able function in an off road environment. These were the Heavy Utility staff car, Ambulance and Wireless pick-up. A revised chassis with the same engine, gearbox and running gear but a mid engine configuration followed which became the Mk II Scout Car of which some 4,300 were built. The Heavy Utility body had an ash-frame covered by a steel skin, a construction typical of many British cars and lorries of the period. 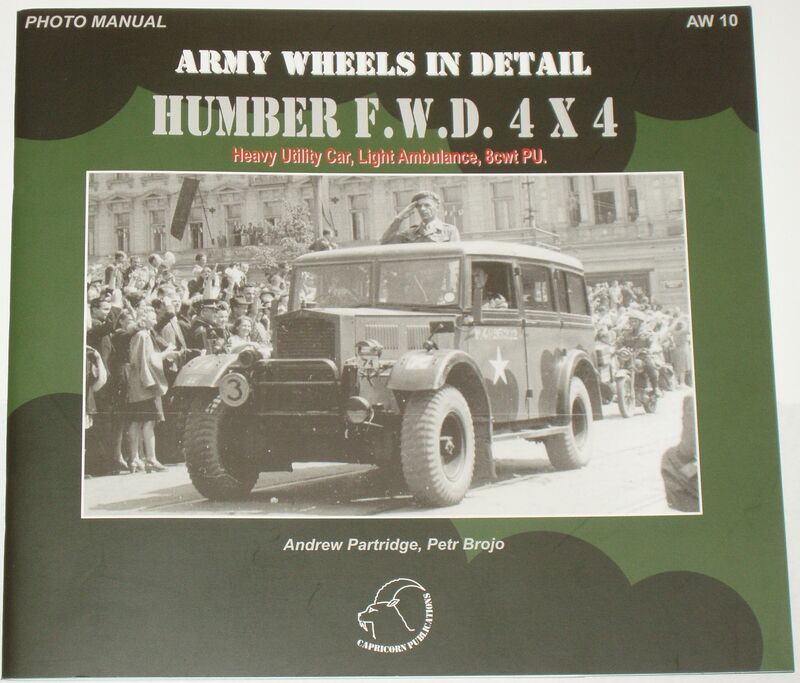 The 4-wheel drive vehicles were powered by the Super Snipe 4086cc side valve engine developed in 1939 and fitted to the top of the range Humber Pullman saloon cars which had found favour with members of the royal family in preference to Rolls Royces for informal occasions. A modified version of the Humber Pullman with large section "balloon" tyres was also used by the military, the mostfamous being an open top tourer dubbed "Old Faithful" which was used by General Montgomery and is now preserved at the Duxford branch of the Imperial War Museum. Monty liked to be seen by his troops and travelled either in this vehicle or in a Jeep wherever possible. He had to admit defeat during the Ardennes Campaign of December 1944 to January 1945 when weather conditions obliged him to use a Heavy Utility.